Vatopedi: This picture is shot in the 90 ties, I would think. Two cranes are in full swing. 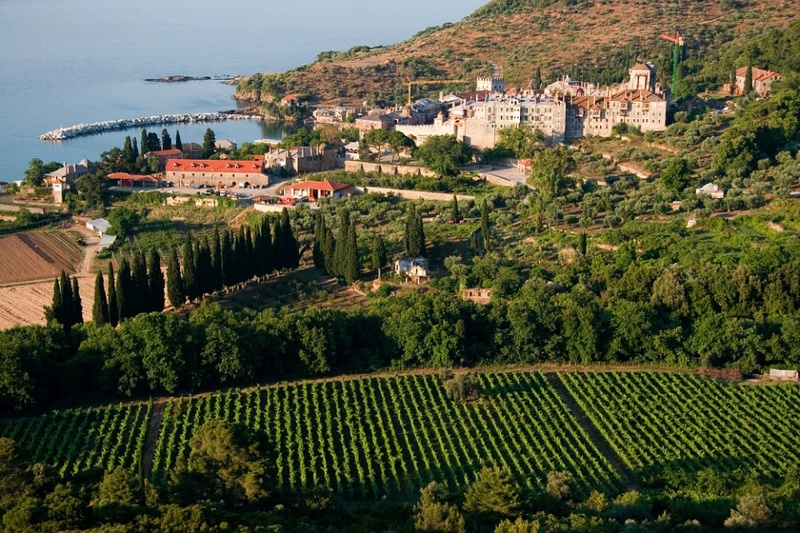 Interesting to see is that the monastery has large vineyards. 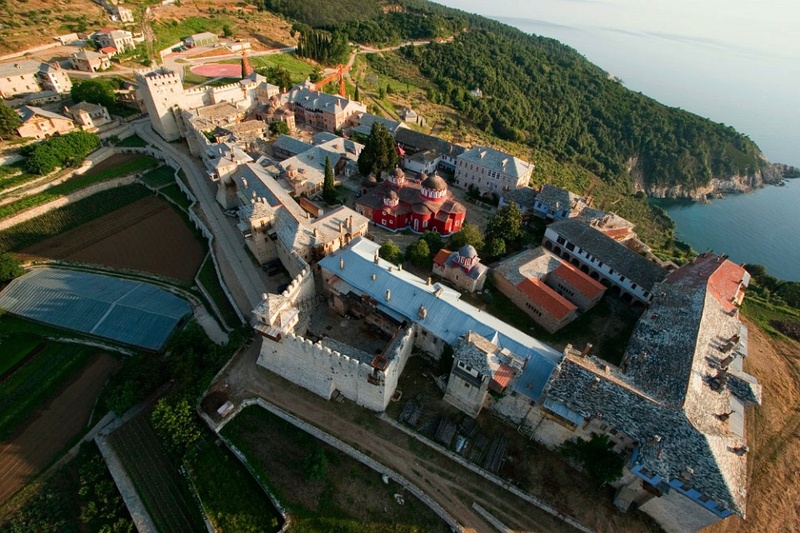 Lavra: First in rank, the oldest monastery seen from above. On the left agriculture with artichoke and aubergine. Esfigmenou: very close to the sea.. The field in front is just ploughed. Here are some more aerial views. 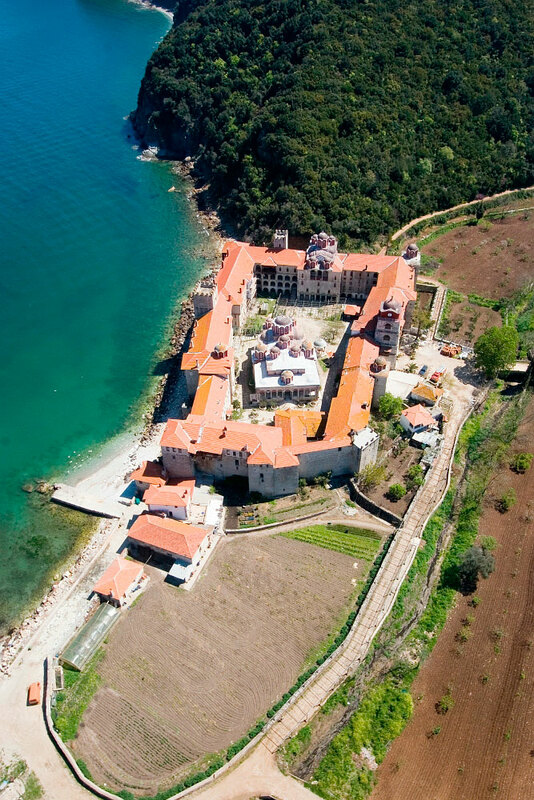 This entry was posted in 01 Lavra, 02 Vatopedi, 18 Esfigmenou and tagged aerial view. Bookmark the permalink.